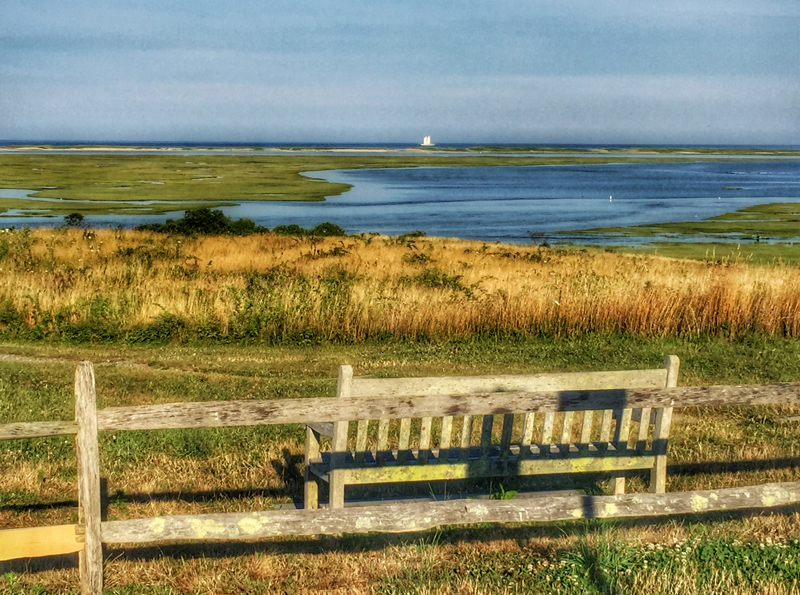 This is one of my favorite places to sit and relax and enjoy the spectacular views of Nauset Marsh and out onto the ocean. There is always so much to see and hear as it is ever-changing. Have you ever sat on this bench? It doesn’t get much better! I loved the evening sun on the high grass… so pretty! Great place for a picnic if you’re in the area! Previous PostPurple Climbing Nightshade Wildflowers Are Blooming At Fort Hill On Cape CodNext PostGuess Who’s Eating My Zinnias On Cape Cod! 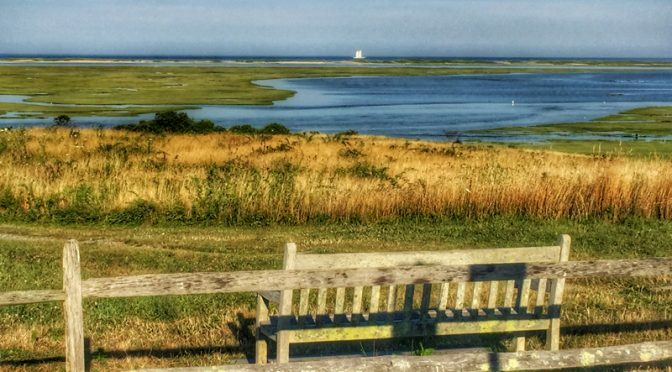 We want to sit on that bench with you one day and enjoy that spectacular view and peacefulness! What a spot!